Four out of five Brits take an Xmas break from caring about the environment a poll has revealed. OVER eight in ten Brits do not even attempt to justify creating extra waste and additional consumption at Christmas time. Two thirds of us commit unofficial ‘eco-crimes’ – such as throwing used batteries in the bin and not recycling Christmas cards – even though we know we shouldn’t. A poll of 2,000 adults found the UK throws out over 50 million platefuls of food, uses 189 million batteries and bins nearly 110 million rolls of wrapping paper during the Christmas break. 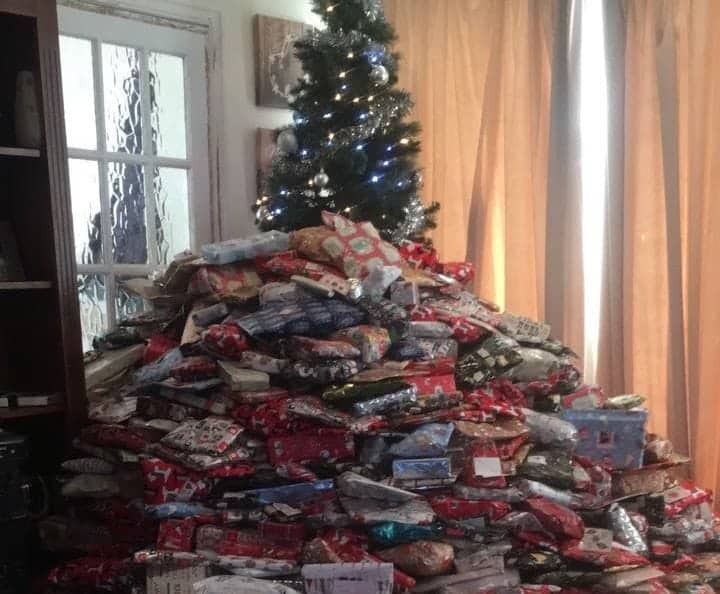 When asked: ‘Have you ever tried to justify the amount of waste you produce over the Christmas period to yourself?’ an unconcerned 83 per cent admit they don’t. The Southeast is the least likely to try to justify causing extra waste at Christmas (9 percent), while London and the West Midlands are the most affected by their conscience (19 percent). Question: Which of the following things do you ever do during the Christmas period, despite knowing you really shouldn’t? The research doesn’t even take account of the rise in overall consumption at Christmas and the millions of tones of toys, games and ‘gifts’ that are produced, shipped and distributed each Christmas – most of which ends up in landfill. The average Briton today has a carbon footprint three times larger than their 1950s predecessors. The computer consoles, iPads and smart phones that feature on this year’s Christmas lists contribute to the grossly unsustainable path we’re on. Not to mention the huge numbers of unwanted gifts and novelty ‘Christmas junk’. Cutting down on waste is one thing we can all address straight away. The research was commissioned by GP Batteries. Spokesman James Tuck said: ‘It looks like it’s the season of goodwill to all men and women – apart from the ones who try to run recycling plants.’ GP Batteries is the world’s biggest manufacturer of rechargeable batteries, accounting for approximately 22 per cent of all production.